A Giant 15-foot, 800-pound alligator feasting on cattle in south Florida was recently killed in Okeechobee. 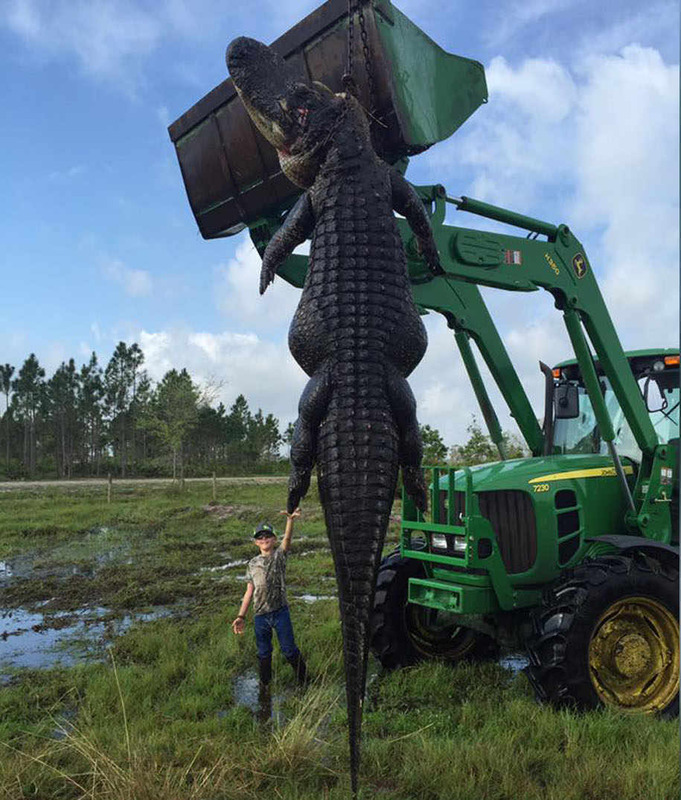 The alligator was killed at Outwest Farms in Okeechobee, Florida. When it came within 20 feet of Lightsey and his guide, Blake Godwin, Lightsey shot it. The photo shows the gator being pulled out of the cattle pond, which was done using a tractor because it was so heavy. A representative from the Florida Fish and Wildlife Conservation Commission confirmed to the Associated Press that the animal in the photo is real. Lightsey’s farm offers alligator hunting, starting at $550 for a 4- to 5-foot-long alligator. For gators longer than 13 feet, the price jumps to $10,000. Lightsey told the BBC he plans to donate the alligator’s meat and taxidermy its carcass.